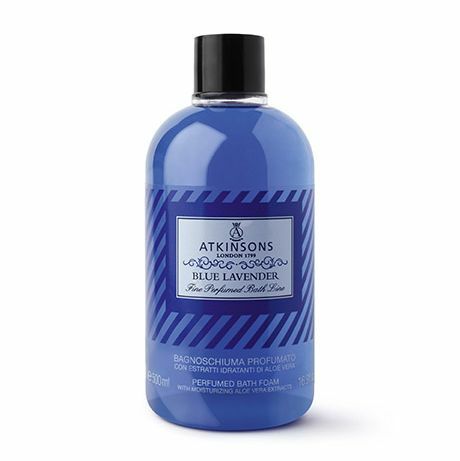 C L E A N :: Atkinsons Blue Lavender Bath Foam / Shower Gel - ShavingCream.com - The cream of the shaving crop. This wonderful bath foam & shower gel has a note of Lavender which is particularly intense, obtained thanks to the high quality of essential oil of lavender selected by Atkinsons on the French market. The fragrance is enriched with other natural ingredients like Patchouli and essence of Lavender. Atkinsons perfumed shower gel contains moisturizing aloe vera extracts.